First of all, the wig doesn’t come with red pins or ribbons! I didn’t expected them, but I think it would be better to specify it in my review. The colour is a beautiful bright bubblegum pink, perfect for this character. The wig is very thick, it covers your own hairs without any problem even in the pigtails part. When it arrived I had to style myself the pigtails and the cat ears just because during the shipping they had been spoiled, but it took me a very short time and it was easy to do. The wig is heat resistant, you can easily comb and style it with hair spray. The fiber is really soft, I really loved to wear this for my cosplay. It is comfortable and I could be able to wear it all day long! The price is 21.90$ and it is a little expensive for a short wig without any ponytail, but it is worthy since the quality of the fiber is extremely good and it is full of fiber. 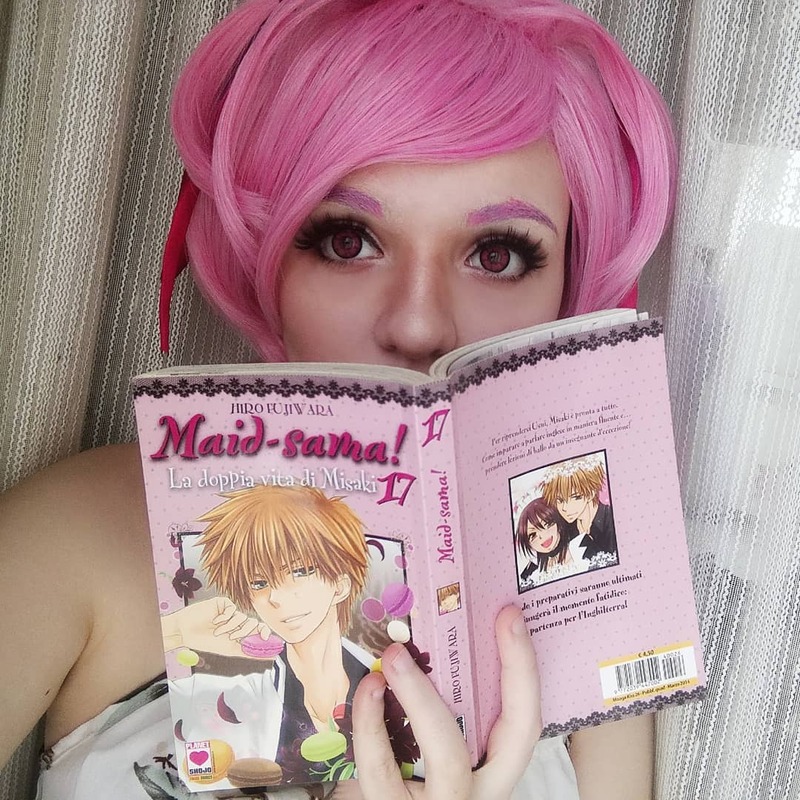 I definitively recommend this one for your Natsuki cosplay! I recived everything super fast with GLS shipping, you can choose a cheaper one but you will get it slowly. The cheapest shipping on the website costs around 15$ and it usually tooks something like a month to arrive. 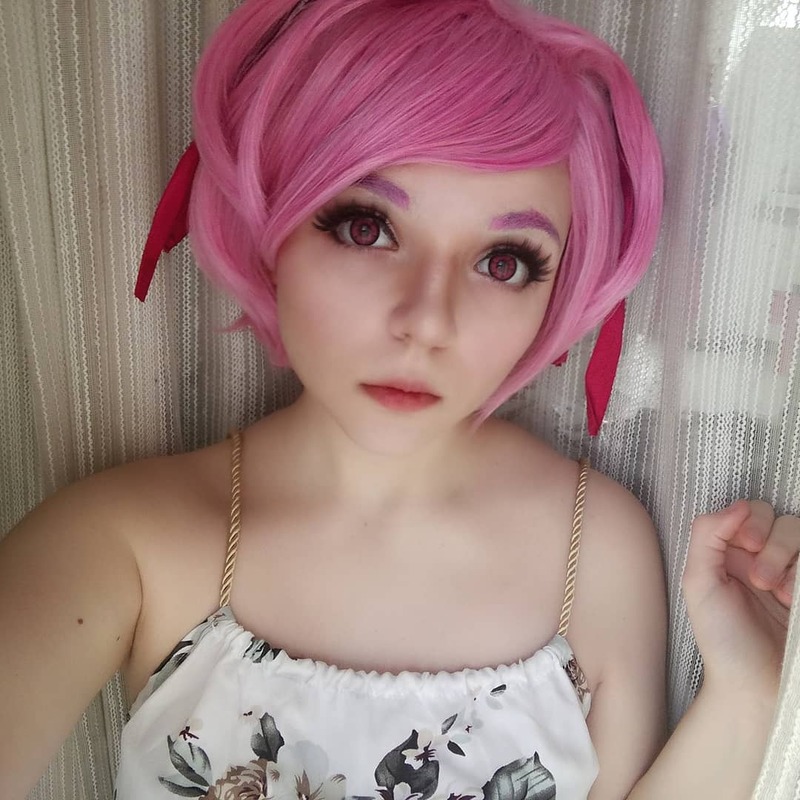 Thank you for reading this review, I hope this may be helpfull for anyone who is interested in this Doki Doki Literature Club cosplay! 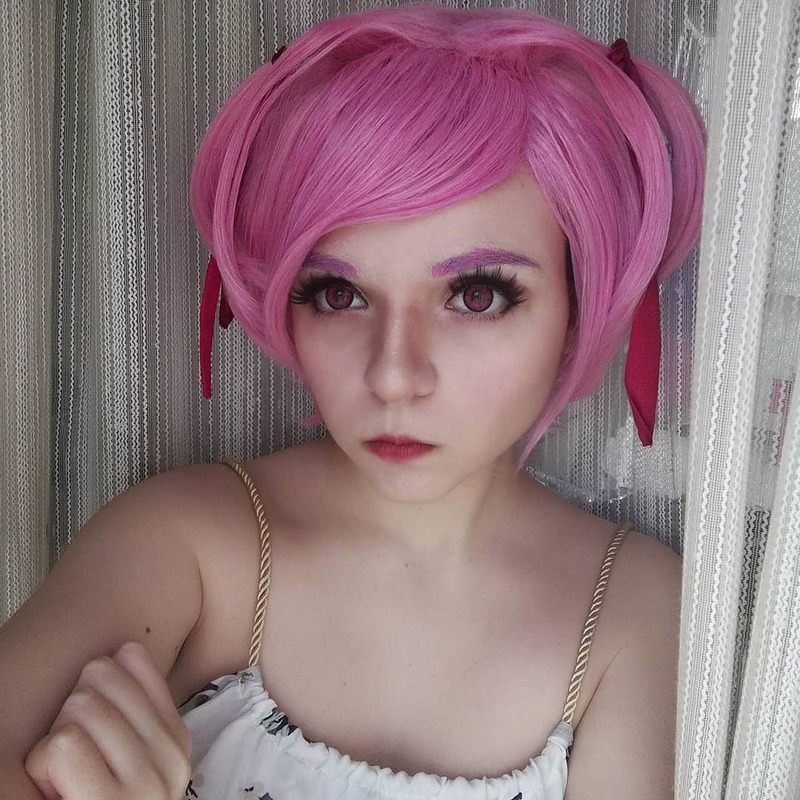 This entry was posted in Buy Cosplay Wigs, L-email Wig review, L-email Wig Sponsorship, Wigs and tagged ddlc cosplay, lemail wig review.